Manchester United are in front of a big task. Ahead of them are Barcelona, one of the best teams in the world and one of the biggest favourites to win the Champions League this season. Ole Gunnar Solskjaer and his players will have to go toe to toe with Lionel Messi, Luis Suarez and other brilliant players from the Catalan club in a two-legged affair that could set this team for a truly magnificent result. Reaching semi-final for this team would be a truly remarkable thing, even more so than reaching the Champions League finals in 2009 and 2011, when it was exactly Barcelona beating them in the biggest showdown. 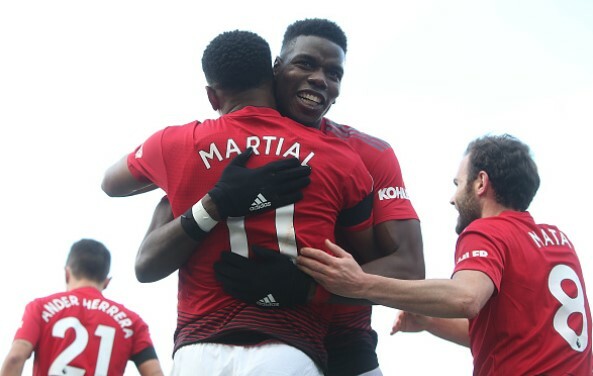 However, reaching semi-final would also be a huge surprise and upset, even though Man United have poured hundreds of millions into this squad, because the task of beating this Barcelona is simply that big. That does not mean, after all, that it is impossible and many have felt similarly when the Devils were 2-0 down after the first match at Old Trafford against PSG. If Man United are to have a really decent chance before the second match, they will need to their best to keep a clean-sheet on Wednesday night. It sounds so much simpler than it is and keeping Suarez, Messi and others at bay will be the biggest test this team has had all season. David De Gea will be tested and ferociously and the defence will be under a lot of pressure. But for United to have any chance of doing well at Camp Nou, a 0-o would be a very good result. That would give the team a chance to progress even with any other draw away from home. This will be the match for Paul Pogba to show himself. He was sent off against PSG and did not play in the return leg. He also had several poor matches in big Premier League clashes this season and this will be a perfect match for him to shut his critics up. Also, Barcelona were interested in signing him before and that will bring even more sub-context to his performance. Pogba’s presence in midfield and passing skillset could unlock any defence and Barcelona’s is not perfect. However, in this match things might go wrong very easy. Simply, if Lionel Messi does his thing, it will not be a surprise to see Barcelona go up too quickly. There is no team in this world that could not find itself in such situation against him and that would not be a disaster. Important would be for United to keep their cool and have a proper attitude if it comes to that. They would need to remain compact and disciplined, unfazed by the scoreline. That is the only away against such great attacking teams who can rip up any defence. Barcelona could be hurt on counter attacks, especially if the result is goalless after an hour or so. Their defence has shown many failings in their recent 4-4 draw against Villarreal and have conceded more goals than Getafe in La Liga this season. With pacey players Solskjaer will have at disposal, those attacks will need to be very precise and swift.